18 August 2017 – The Cancer Association of South Africa (CANSA) has won the Public Service Category in the 2017 Standard Bank Top Women Awards on 17 August 2017 at Emperors Palace. 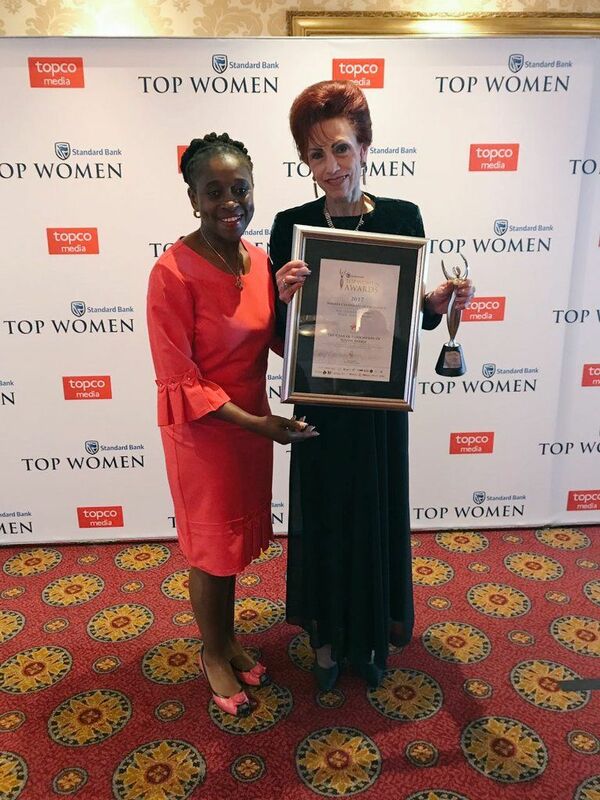 For a decade and a half, South Africa’s premier gender parity platform, Standard Bank Top Women, has awarded outstanding women leaders and gender-strong companies across a host of market sectors. Their journeys to success ignite the ambition of Africa’s women to pursue their own goals in business, government, science, tech and other fields, while showcasing the robust business performance that results from having more women in leadership roles. Entries for the awards, both individual and organisational, were evaluated against strict criteria of both gender empowerment and performance, in order to designate the award finalists, who contested for 27 coveted Standard Bank Top Women trophies. This year’s panel of esteemed judges included the likes of Kate Moodley, Franchise Director at Discovery Holdings; Phuti Mahanyele, Sigma Capital Executive Chairperson and Margaret Sibiya, C.O.O. for ICT-Works. Several of the judges commented on the impressive calibre of this year’s entrants, which made the intensive adjudication process even more challenging than in previous years. “It’s a great privilege for me as CEO to lead and to serve all the women at CANSA”, concluded Joubert. CANSA has been acknowledged as a leading non-profit organisation by winning several industry awards over the last few years. In November 2015, Joubert was announced as the African Continental Winner for Welfare and Civil Society Organisations at the 2015 Africa’s Most Influential Women (MIW) in Business and Government Awards. This followed her winning two awards in July: ‘Country Winner from South Africa’ and ‘SADC South Regional’ for the category ‘Welfare and Civil Society Organisations.